This largely unedited free-write is linking up with the Write 31 Days Challenge. // indicates the start and stop of five minutes. The prompt word for today under the 31 Days of Five Minute Fridays is HOPE. 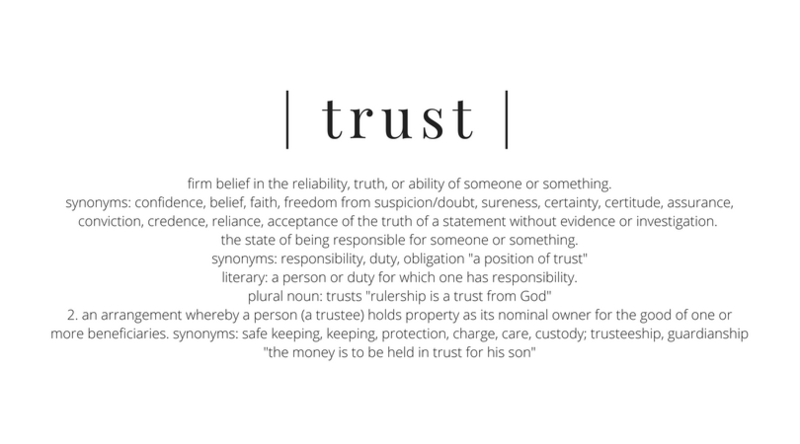 // When I hear the word “trust”, I cannot help but think about relationships. Trust is both the necessary bridge for building relationships and the glue that keeps them together during periods of pressure, strain or disappointment. Looking at my life I have learned that there is something integral about the journey toward living well and the need for trustworthy friends who help you get there. Trust is something easily broken and yet hard to build, unless you are willing to be brave and take a risk. Sometimes the risk results in pain, however more often you gain something even more wonderful than you imagined. I learned recently about a precious distinction in trust from author and speaker Patrick M. Lencioni. Patrick says that lack of trust is one of the primary dysfunctions of a team. I would say that a lack of trust is also a primary dysfunction of a life lived well. To live well, you have to be a person who can trust and be a person who is found to be trustworthy. Lencioni talks about two types of trust, Predictability Trust and Vulnerability Trust. Predictability trust is built over time and through results. When people talk about this kind trust they typically mean “they expect a certain behaviour” based on past experience of an individual. The truth is, most of us stop at Predictability Trust, but the goal should always be Vulnerability Trust. Vulnerability Trust as defined by Lencioni is “the willingness of people on a team to be vulnerable and human with one another.” This is a trust that says, “I trust you with my heart”. I believe what and whom you place your trust in can either propel or derail the trajectory of your life. A lack of trust is ultimately rooted in fear. Fear of being hurt, fear of being judged, let down… you can call it anything you like but I believe that underneath it all, fear is what you are dealing with. Friends, if you will allow me, perhaps I can challenge you with a thought that someone once provoked me with? About 6 years ago, I was in a place in my life where I couldn’t trust people and in my mind this was justified due to my experience in the relationships I had been in, so many of which proved to be one sided. It was almost as though once someone’s need for me changed, so did their presence in my life and that was painful. This is what they said to me: “You wont engage because (insert name) hurt you. If (insert name) has the power to control the entire direction of your life, based on something they did in the past, then they are God in your life”. I was stunned into silence. That deep deep challenge broke into and resounded in my heart for weeks. It was hard to hear, but I am so thankful for a true friend who loved me through my blind spot. My mistrust and fear had locked me into a prison of isolation. The reality was, I needed to take action and that was scary. However, when it comes to trust you can’t wait to feel better, or ready - You have to take a risk and act. Something that helped me was understanding two words - responsibility and power - and who those two things lay with. I had to realise that no one had the power to make me feel anything. Friends, we are not responsible for and cannot control what people do to us, but we are fully responsible for how we react and respond to what is done. Offence is taken. But, forgiveness and trust are given. We are fully responsible for making the decision to forgive. We are responsible for making sure our heart doesn’t get cluttered and overcrowded with offence, bitterness and fear. We are responsible for living life well and tending to our hearts because wellness starts from within. Wellness starts in the heart. Choosing to trust means taking leaps of faith, choosing to believe the best in others and choosing to open your heart and your life to others. I have learnt that closing your heart off so that you can’t be hurt sounds like a good idea, but it is actually the furthest thing from smart. Think about it, how can life give you something good, if your heart, hands and life are full up holding onto mistrust? The answer is, it just can’t. Every time I give myself a heart check up this area is something I assess. I hope that you will be brave with me and do the same. Give yourself a heart check up. Where are you with this word ‘trust’? Answering this question often and honestly has set me free and added a depth and richness to me life that now, I cannot function with out.